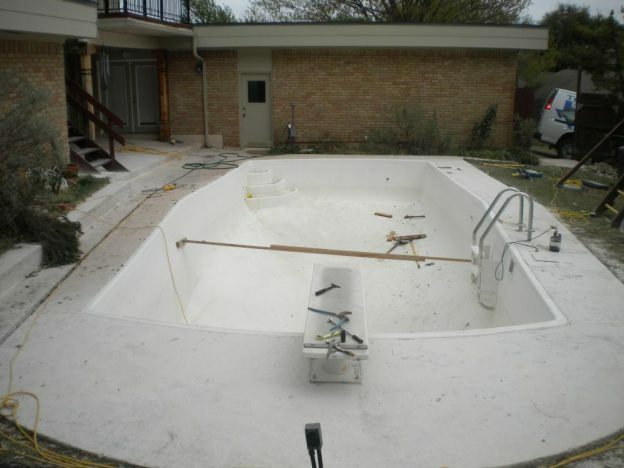 Dallas TX Pool Resurfacing Job - Texas Fiberglass Pools Inc.
White fiberglass pool resurfacing expertly applied by Texas Fiberglass Pools Inc.. 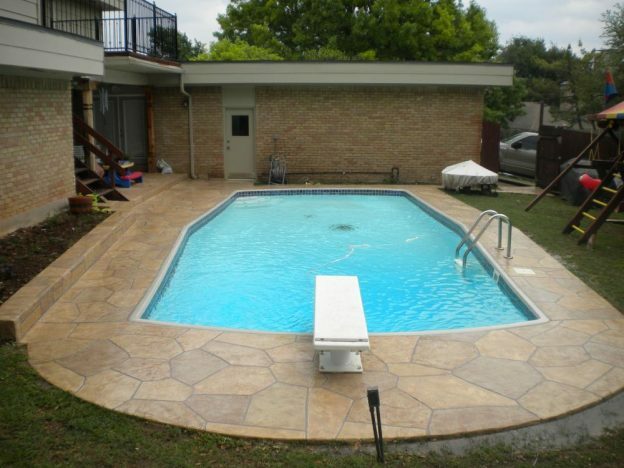 Pool deck resurfacing and patio resurfacing created a dramatic stone-look, which the client loves. Pool tile and coping improvements were made using 9 inch tiles. In addition, our skilled technicians installed new drains on the deck and installed turtles on the pool floor.